BOURNEMOUTH council's former IT manager has appeared before the courts charged with fraud. 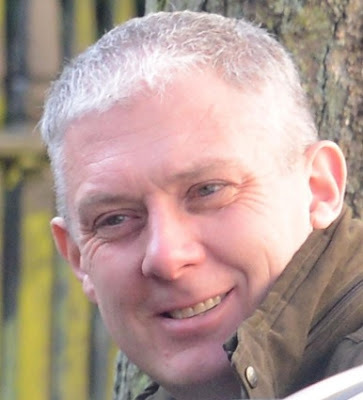 Robert Young, of Heathfield Way in West Moors, was working in a senior role at town hall between August 27 2012 and December 31 2016 when the alleged offence occurred. Prosecutors claim he abused his position with the intent of making £290,000 for himself. Young, 42, is also charged with concealing, disguising, converting, transferring or removing criminal property, namely electrical items, by selling them via third parties.He has not yet entered pleas to either of the charges against him. On Friday afternoon, Young appeared at Poole Magistrates' Court for a preliminary hearing. The defendant, who wore a black suit with a checked shirt, spoke to confirm his name, date of birth and address. When asked if he would be choosing to plead at the hearing, he replied: "No plea." Prosecutor Lee Turner claimed Young had ordered electrical items, which were then delivered to the defendant's office and home address. The items were sold on to others, he claimed. "This matter is not suitable for summary trial," Mr Turner said. "This should be sent to the crown court." The court heard another man at the council had also fallen under police scrutiny during the investigation. The second man was released without further action, it was heard. Young will appear before a judge at Bournemouth Crown Court in May for a plea and trial preparation hearing. A DORSET Police officer once honoured for his courage has been jailed for harassing his ex-wife. PC Andrew Loveless, 45, wept in the dock as he watched his former partner Julie break down during the sentencing hearing. A district judge heard Loveless, of Charlton Marshall, had sent messages to his ex-wife's father, friends and family following the breakdown of their marriage. One of them said: "Julie is leaving. Good riddance. "I too will be leaving. She can return whenever she wants - I will not be here. "I hope you all rot in hell." He also emailed acquaintances of his wife and met a friend at a pub where he shared malicious information. Mrs Loveless, speaking at an earlier trial which was stopped when Loveless changed his plea, said: "I felt physically sick, I felt I just wanted to get out and move away and leave it all behind. "No matter how hard I was trying to be a good person and get on with my life, he was stopping me doing it. "He would not stop. His sole intention was to destroy me - that was how I felt." She added: "I felt he was doing it out of spite. He wanted to cause me as much hurt as he possibly could." Sentencing the twice-commended officer at Southampton Magistrate's Court, district judge Anthony Callaway told Loveless: "You commenced a campaign against [your ex-wife], utilising sensitive information to belittle her. "That campaign was deliberate and was orchestrated over time. "It was against her family, against her work, against your children and their friends, and against her - an entirely decent woman doing her best to keep up with her work and raise her children. "[This was] harassment of a most insidious nature. "You should be ashamed of what you have done." Loveless was "under some pressure" over the course of nine years, and became "deeply, deeply depressed" following the death of his father, it was heard. The defendant admitted one count of harassment without violence. As he was sentenced to five months in prison, his ex-wife broke down in tears in the public gallery.Loveless then began to cry as he was led from the dock to the cells. He has previously been awarded a chief constable's commendation after an accident in Milborne St Andrew. Loveless battled his way through smoke and flames to save the injured driver of a tanker which collided with an articulated trailer loaded with hay bales. The trailer's 25 hay bales, each weighing half a ton, fell and crushed the cab. The helpless driver was trapped by his legs in the burning vehicle's cab. Loveless rescued the injured man as thick acrid smoke engulfed the cab. His actions "most certainly" saved the casualty's life, it was said.